Flight is the latest collaboration to emerge out of Norway’s ‘Kolbotn Thrashers Union’; a comical term invented some time ago to support the mass of talent in this mystic part of Norge. Flight shares its members with those in Condor, Gouge, Purple Hill Witch, Mion’s Hill and Mabuse. Bass player and co-founder, Jonas Bye tells us about the formation of the band: “We always drink beer and listen to Judas Priest. I guess the idea of Flight came naturally because we weren’t playing in a heavy metal band at the time. 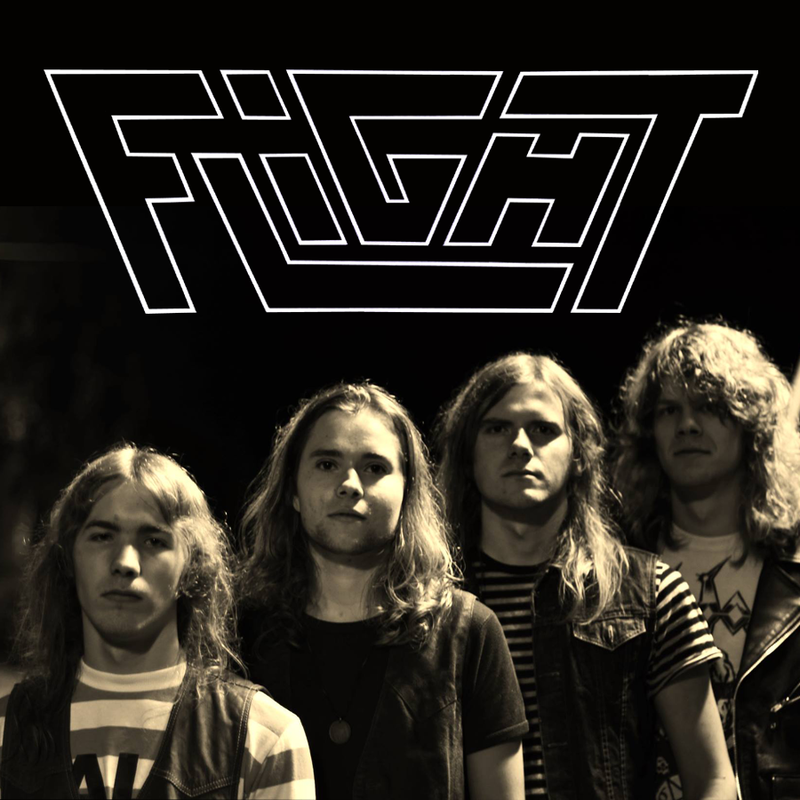 It wasn’t really a conscious choice.” After having the pleasure of listening to Flight’s un-released rough demos, it is safe to say they are far more enriched in the rocky pre-NWOBHM sound. Jonas elaborates on their less-common played style of heavy metal; “We play what feels the best for us and we try to experiment a bit in that frame. It’s not like we try to make a blueprint of ’77 heavy metal. We are gripped by influences from all over. Nobody except Iron Maiden can be Iron Maiden”. Flight soon hope to be traveling to their own concerts with the support of a debut album, which they are planning on releasing in 2014.